Feb 4 (AZINS) Speaking to WION, sources in the AIADMK, Tamil Nadu’s ruling party and the BJP have stated that an alliance between the two parties ahead of the Lok Sabha Elections could be announced on 10th February in Tiruppur in Southern Tamil Nadu, where Prime Minister Narendra Modi will address a public rally. The BJP source has hinted that most of the parties from Tamil Nadu, who were part of the NDA in 2014 could be retained in the alliance that is to be formed ahead of this year’s Lok Sabha Poll. The source also added that, “chances of the announcement being made soon is very bright”. This comes at a time when the AIADMK is issuing applications (from Feb 4th - 10th) to aspiring Lok Sabha candidates at a cost of Rs. 25000. In the last few weeks certain AIADMK leaders were critical of the BJP and expressed reservations about an alliance. They also said that the party cadre was against an alliance, as they claimed that the public mood was against the BJP in Tamil Nadu. However, some leaders also issued clarifications saying that only the executive can decide. At the unveiling of the Karunanidhi statue in Chennai, DMK president M K Stalin had proposed Rahul Gandhi as Prime Ministerial Candidate. With the DMK backing the Congress, the only major prospective ally in Tamil Nadu for the BJP is the AIADMK. 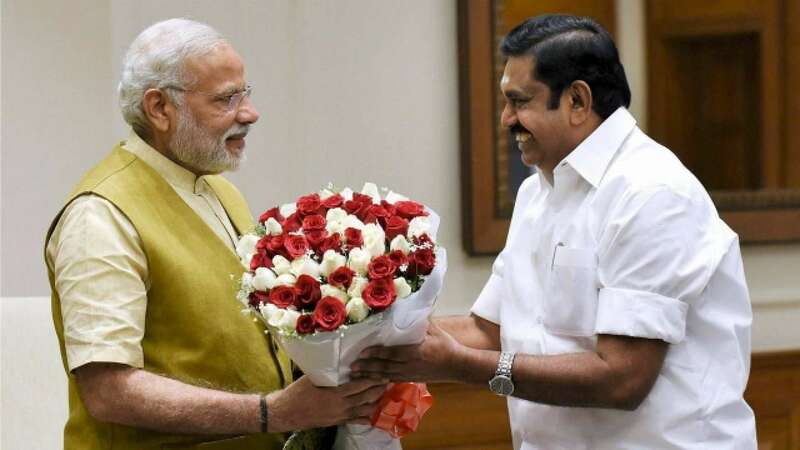 In the run-up to the Prime Minister’s February 10th rally in Tiruppur, more details could emerge about the likely alliance and the smaller parties that could join hands with the AIADMK-BJP combine.